Link to our tax returns for review and current year operating budget. We are registered on GuideStar (www.guidestar.org ). We use QuickBooks accounting software to make sure every donation goes to where the donor designates. How Would Your Money Help? We are very proud of the fact that because we are an all-volunteer organization, over 95 cents of every dollar goes to direct veteran support. Our overhead includes liability insurance, Directors and Officers insurance, office supplies and operating supplies. We will pick up household items including furniture and appliances to help our Veterans get established in permanent housing. Clothing, toiletries and baby and small child items are also needed. Call John Shuler at 559-977-3697 or Deb Riordan at 559-281-0784. Use at SaveMart Supermarkets, SMART Foods, FOODMAXX or LUseucky stores. We will receive up to 3% of qualified purchases. Please call John Schuler at 559-977-3697 to obtain your Central Valley Veteran’s S.H.A.R.E.S. card. 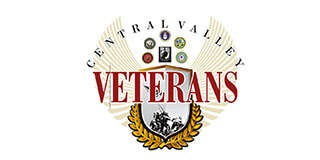 Central Valley Veterans is partnering with Amazon.com thru Amazon Smile. Now you can shop, save and GIVE. By choosing Central Valley Veterans through Amazon Smile, 5% of your purchase will go toward helping our local heroes! Now, that’s something to SMILE about!! Each year Central Valley Veterans hosts events to support our Veteran Outreach programs and projects. Even the smallest event has a cost. By having businesses, organizations, groups and individuals support and sponsor these events (as well as volunteer), we keep our costs down and free up more and more opportunities to reach those in need. How can you help? Please see our Events pages for sponsorship opportunities. We are an all-volunteer organization that is having a pretty significant growth spurt. We are always in need of committed volunteers who are willing to work! If there is a project or program that pulls at your heart strings please contact John Schuler at 559-977-3697 or Deb Riordan at 559-281-0784 for volunteer opportunities.